Enjoy an authentic Louisiana Pizza Kitchen experience in the French Quarter. Each gourmet pizza is fired in a wood-burning oven on either an unbleached white or untreated whole- wheat flour crust. All our meat and poultry are organic and free-range. We source quality, local Louisiana products whenever possible. And our wine cellar has won the Wine Spectator Award of Excellence for four years running. Don’t forget to check out our excellent selection of local, micro-brewed, and specialty beers from around the world. 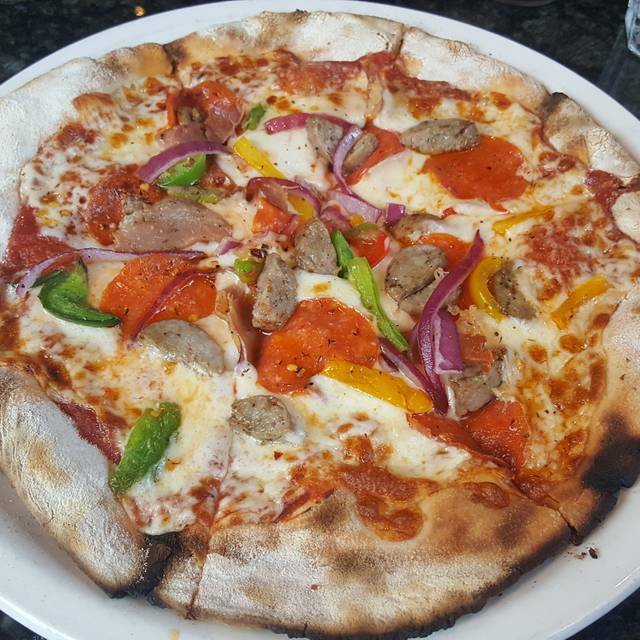 At our french quarter pizza kitchen, every pizza we serve is fired in a wood-burning oven, topped with meats and poultry that are organic and free-range, and available on either an unbleached white or untreated whole-wheat flour crust for no additional charge. Topped with whole milk mozzarella imported from italy (through new york) and a rich, zesty marinara sauce. Pepperoni is sliced in the classic style with our zesty marinara sauce and imported whole milk mozzarella. Long slices of pepperoni salami top a signature pie covered in imported whole milk mozzarella and our rich marinara sauce. Ripe roma tomatoes, fresh locally sourced basil, and imported whole milk mozzarella cheese top this delightfully robust pizza. Locally sourced louisiana eggplant from nearby plaquemines parish are drizzled with imported italian olive oil, and combined with freshwater mozzarella, red sweet onions and fresh basil. Seasonal market vegetables (always fresh and locally sourced, whenever possible) are grilled and doused with fresh, whole milk mozzarella imported from italy. Graced by cloves of roasted garlic, this pie is topped with sun-dried tomatoes, fresh baby spinach, rich feta and imported whole milk italian mozzarella. Combining the flavors of fresh spinach, ripe roma tomatoes, kalamata olives, sweet red onions, rich feta and imported mozzarella cheeses. Artichoke hearts are seasoned, quartered, and joined by locally sourced mushrooms, sun-dried tomatoes, and asparagus. The four are then topped by authentic, imported parmesan and mozzarella. Locally sourced seasonal wild mushrooms are sliced alongside red and yellow bell peppers. Fresh basil, feta and imported italian mozzarella are added. Thick sliced applewood smoked bacon is married to the flavor of sweet pineapple and rich marinara, then draped beneath a layer of imported italian whole milk mozzarella cheese. Imported whole milk italian mozzarella is combined with rich feta, ricotta, and aged parmesan atop this signature pie covered in our own zesty marinara. Organic, free-range chicken is slowly roasted in our rich bbq sauce and combined with corn, scallions, imported mozzarella cheese, and our own zesty marinara. Organic, free-range chickens (bred from france's label rouge program) are slow roasted with black beans, cilantro, jalapenos, roma tomatoes, sour cream and imported mozzarella cheese. Our signature pie combines applewood smoked bacon that's sliced thick with fresh, locally-sourced chives, tomatoes, and sour cream under a blanket of imported italian mozzarella. This savory blend of fresh marinara, imported italian sausage, alligator sausage, and smoked andouille sausage is also topped by a whole milk mozzarella imported from italy. Topped with select p & j oysters, imported italian mozzarella, ripe roma tomatoes, artichokes, and grilled eggplant sourced locally from plaquemines parish. Organic smoked salmon is sliced razor thin and generously added to a combination of ripe roma tomatoes, capers, caviar, sweet red onions, and farm fresh cream cheese. Imported italian mozzarella completes this original recipe. Plentiful, locally sourced crawfish are smothered in a creamy cajun étouffée sauce then topped with a whole milk mozzarella imported from italy and fresh scallions. Jumbo gulf shrimp are sautéed in a gourmet teriyaki sauce and topped with sweet red onions, crisp red and yellow bell peppers, locally sourced mushrooms, and fresh imported italian mozzarella. Organic wood-fired crust topped with a traditional creole sauce, fresh gulf shrimp, organic free-range chicken, authentic andouille sausage and fresh whole milk mozzarella imported from italy. All french quarter louisiana pizza kitchen pasta recipes are prepared using organic, free-range meats and poultry. Each dish is served with your choice of organic white or whole-wheat penne pastas. And all vegetables are locally sourced, whenever possible. Enjoy this french quarter standard with your choice of hand-rolled meatballs (made with fresh pork, beef, and veal) or imported italian sausage. Layered with our own special seasoned ground beef, fresh ricotta, and whole milk imported italian mozzarella cheese imported from italy. Stuffed with fresh ricotta, authentic aged parmesan, imported italian mozzarella and asiago cheeses, organic pasta shells are served in a rich creole sauce made from ripe roma tomatoes. Organic manicotti pasta is stuffed with an intoxicating combination of fresh spinach, imported mozzarella, and seasonal mushrooms then smothered and baked in our own zesty marinara. Cheese-stuffed ravioli pasta shells are sautéed in a fresh pesto cream sauce with artichoke hearts and sun-dried tomatoes. This signature recipe calls for locally sourced seasonal wild mushrooms, which are sautéed in a mixture of minced white garlic, fresh lemon, and extra virgin olive oil. Grilled free-range, organic chicken in a classic cacciatore sauce of garlic, onion, tomato, basil, and mushrooms is served over organic angel hair pasta. Organic, free-range chickens (bred from france's label rouge program) are paneed (pan-fried) and served in a savory lemon-caper butter sauce and served over organic angel hair pasta. Grilled and stuffed with a decadent mixture of goat cheese, sun-dried tomatoes, and fresh spinach, these chops are accompanied by penne pasta in a pine nut pesto sauce. We ditch the white rice in favor of organic penne pasta in this fresh take on a local favorite. Sautéed fresh gulf shrimp, andouille sausage, and free-range chicken are combined in a traditional rendition of a classic creole jambalaya sauce. Jumbo gulf shrimp seasoned to perfection and sautéed in a savory garlic butter sauce then served in large portions over organic angel hair pasta. Fresh locally sourced crawfish are seasoned and sautéed in a delicate white cream sauce before being served over a bed of organic fettuccine pasta. Organic fettuccine pasta served in a bed under our delicate creamy alfredo sauce. Choose from our plain, free-range organic chicken, or jumbo gulf shrimp options. Recognized in local culinary circles as award winning, our made-from-scratch caesar dressing is prepared daily with real anchovies. Fresh romaine lettuce, aged parmesan, and toasted croutons round out this excellent, versatile offering. Ripe roma tomatoes and imported italian mozzarella combined with sweet red onions, fresh basil, and extra virgin olive oil. Served over mixed greens with fresh roma tomatoes. Fresh spinach sprouts, goat cheese, walnuts, and strawberries are dressed in our signature poppy-seed vinaigrette. Crisp romaine lettuce, bell peppers, sweet red onions, kalamata olives, cucumbers, capers and feta cheese in a zesty greek vinaigrette with ripe cherry tomatoes. All our famous french quarter wraps and sandwiches are available on your choice of ciabatta (all natural white flour or wholegrain) and served with a side of pasta salad, soup, french fries, grilled asparagus, or coleslaw. Seasoned black beans wrapped with imported mozzarella cheese, fresh sour cream, ripe roma tomatoes, cilantro, jalapeños, shredded carrots, and sweet red onions. Free-range, organic chicken is oven roasted and wrapped with our award-winning, made-from-scratch caesar salad. Imported italian sausage is wrapped with smoked andouille, alligator sausage, whole milk mozzarella cheese, ripe roma tomatoes, crisp romaine, and a smoky chili aioli. Fresh gulf jumbo shrimp are either fried to perfection or seasoned in creole spices and grilled with mixed greens, chili aioli, and ripe roma tomatoes. Grilled eggplant (locally sourced from nearby plaquemines parish) is combined with roasted bell peppers, ripe roma tomatoes, fresh baby spinach, and herb infused goat cheese. Oven roasted chicken breast with dijon mustard, parmesan cheese, mixed greens and roma tomatoes. Grilled salmon, fennel, cream cheese, capers, cucumbers and red onion. 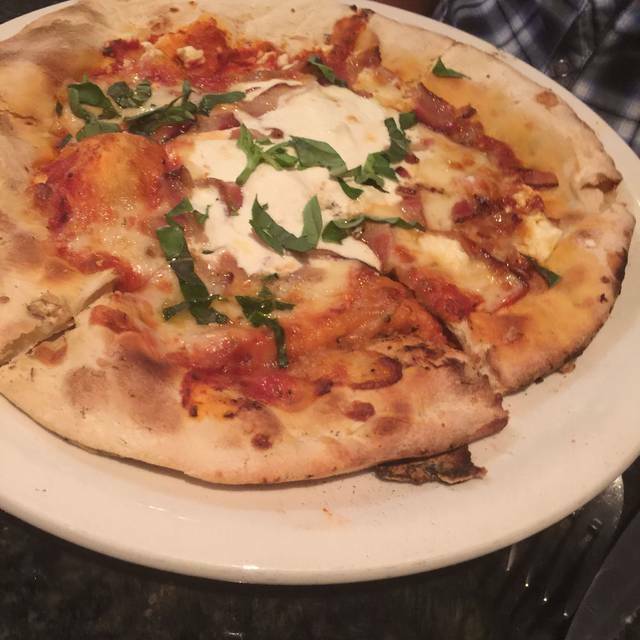 Locally sourced wild mushrooms are folded in a calzone of fresh ricotta, imported mozzarella and a zesty marinara. Fresh baby spinach sprouts and sun-dried tomatoes are folded and baked to perfection with authentic ricotta, imported mozzarella, and a bold marinara sauce. This authentic calzone features imported italian sausage, fresh ricotta, mozzarella imported from italy through new york, and a zesty marinara sauce. Anytime you're ready for a hot cup or bowl of fresh-made soup, we're ready for you. Soups change daily, sometimes hourly. Check with us often. Enjoy our rendition of this true crescent city classic that combines a hearty blend of seasoned red beans with sausage, onions, celery, bell peppers, and creole spices served over white rice. Our famous french quarter recipe is thickened by a dark roux and contains a hearty portion of andouille sausage and slow-roasted chicken. Perfect for sharing, this starter combines melted mozzarella with fresh spinach and artichokes. Served with fried pita bread sticks for dipping. Carnivores love this sampler of sweet imported italian sausage, seasoned alligator sausage, and smoky cajun andouille sausages. Each is wood fired and served with spicy dijon mustard dipping sauce. Organic ravioli pasta is stuffed with locally sourced wild mushrooms, flash fried, and served with a smoked chili aioli. Served with a zesty marinara for dipping, our recipe features seasoned calamari sliced thin, lightly battered, and flash-fried. These char-grilled artichokes are marinated in sunflower oil-a perfect light bite for two. Grilled shrimp served over a fresh corn, garlic and cream sauce. Locally sourced crawfish are sautéed in a traditional new orleans étouffée sauce and served over rice. This grilled ciabatta loaf is brushed with our own garlic butter and topped with aged parmesan. Served warm and fresh, each loaf is wood fired and brushed with a tangy pesto. Buddy and a bit cramped. Service sketchy, had to ask for water when other tables got it automatically. Slow food delivery, but good food. The Chianti i drank wasn't nice. Great food and great service! Nice break after days of creole food. Just off the end of the trolley at the French market. Highly recommend! Awesome food ! Loved the meatball appetizer and fabulous hearth baked pizza ! Server really seems hates her job. The food was decent but space is cramped. Both the food and the service were great. We’re visiting from Scotland but will recommend to any friends who are visiting New Orleans in future. The pepperoni bacon pizza was good! The Caesar salad was amazing! We ordered salads and a Hawaiian Pizza. The salads were fresh and very good. The pizza was excellent. Great local atmosphere. The restaurant was busy and the service was slow. Poor service. Understaffed. Very noisy. Pizza is delicious. Best stone fired pizza in the Quarter convenient to the Fremch Quarter market. Superb salads! Staff us accommodating and attentive. We enjoyed this restaurant our first night in NO. 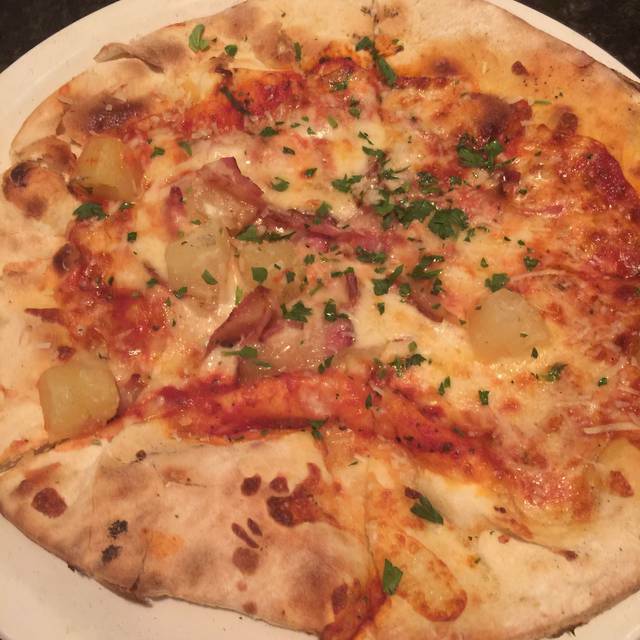 Cozy atmosphere, delicious food & pizza & great service by Lester who made our dinner fun! One of our favorite stops during the course of our 4 day visit. Highly recommend! Thank you Edward for you phenomenal customer service. Outstanding dining experience, food outstanding! Pizza delicious, atmosphere cosy and easy to feel at home. Service on the night was average and efficious taking the edge off the visit. Excelentes entradas. Los calamares fritos tienen un sabor sorprendente. Muy recomendable. Food was great, cocktails were not. Ordered several kinds (margarita, mojito, etc) and they all were painfully sweet. Would recommend ordering wine or beer, if you’re drinking! From a food perspective, we loved all of the pizzas, the garlic bread, and the spinach and artichoke dip. We made a reservation for Christmas Day. They had our table reserved and we sat as soon as we got there. The salad, pizzas and desserts were all quite good. The staff were very attentive and friendly. Their special Christmas pizza was excellent! Chicken Caesar wrap was a little dry but the service and location were great. Will visit again because the food is usually fantastic. Waitress was rude and rushed us along. Also after asking us if we would like dessert and pointing to the dessert menu on the wall. She came back with our check completely ignoring the fact we were going to order dessert. With a town full of restaurants I will avoid this one after this experience. Delicious Italian food. The pizza, calzones, and lasagna were wonderful. Joe, our server, was great as well. Highly recommend! Louisiana Pizza Kitchen was perfect for an early, relaxed lunch prior to taking in all that New Orleans has to offer. 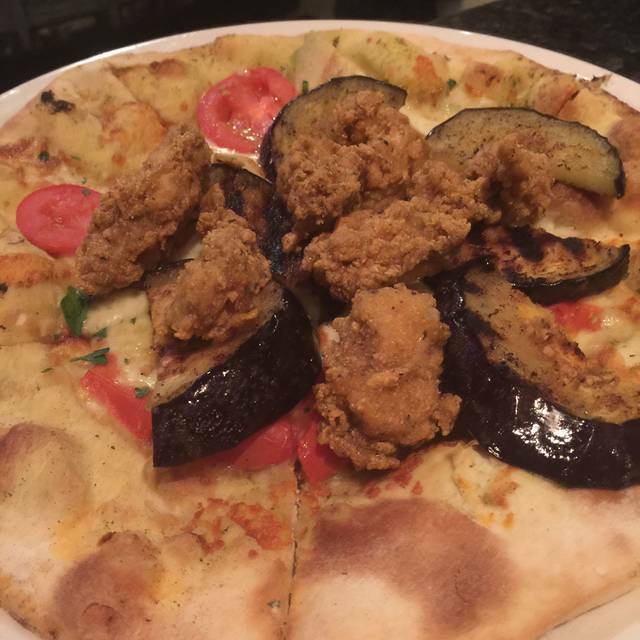 The grilled eggplant pizza was excellent. This was my second visit to this location - my first visit was a year and a half prior. I'd recommend this place and would plan to return the next time I'm in New Orleans. First time in New Orleans and it’s a great place !! Good pizza and very well priced . Little shop very quaint and awesome service !!! 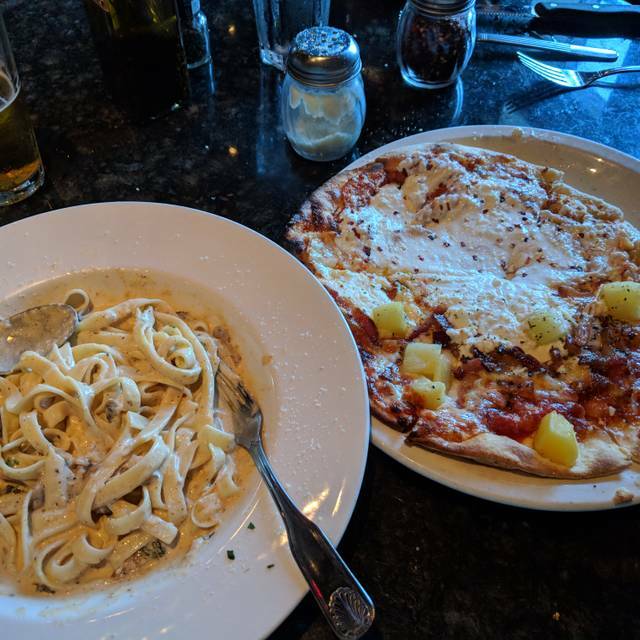 Great Pizzas snd pasta with excellent service. Good value for money and great position close to vibrant Frenchmen Area. Very attentive and friendly and don’t mind engaging or answering questions about other local places to eat. A very charming spot in New Orleans. Very good food which will definitely appeal to anyone who loves pasta and is looking for a reasonable friendly place in the French Quarter. The feel of this restaurant is good (for English readers it is very like pizza express). The menu is good. The food is good and I have marked it lower than it deserves only because it was served cool to cold. The problem is with the service. Our food was served cool to cold and this made me watch what was happening when the food came from the kitchen, which was largely nothing for 4-5 minutes. This absolutely wasn’t because the waiting staff were under pressure. They simply ignored it and did something of lower priority, or nothing. A real pity, because the food was good. Would have been better served hot. Great pizza! Service was a little slow. Greeting at the door was unfriendly. The food was good, however the service needs improvement. Great Little Italy pizza topped off with a great creme brulee!! I love this place. Service is fantastic. Food is delicious! Was originally told that our party of 5 (2 adults and 3 kids) would have to be split between 2 tables even though we had a reservation because they were waiting on a party of 10 who was 20 minutes late & ended up never showing up. We were very rushed by the waitress and told we needed to put in our order because the restaurant had a large party that was ordering at the same time as us. I should have gotten up & left at that point because had no time to look at the menu. Food was ok but overpriced for what you get. Service left a lot to be desired.